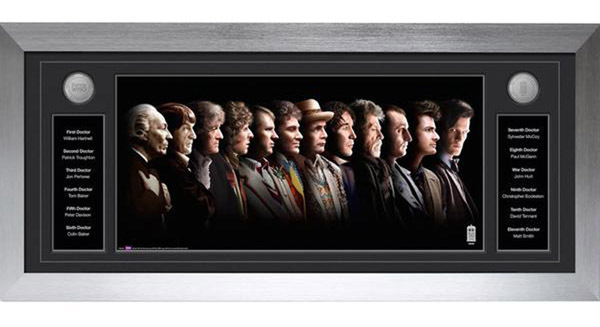 Everyone has their favorite Doctor but why choose when the Doctor Who 12 Doctors Deluxe Framed Print lets you celebrate all the incarnations of the popular Time Lord that have come before. 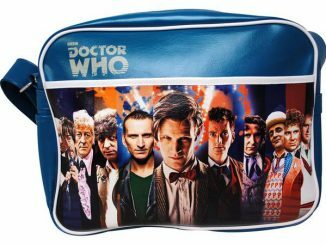 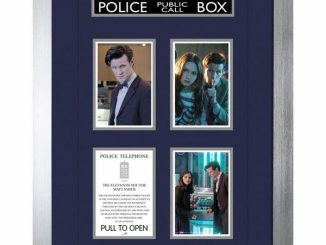 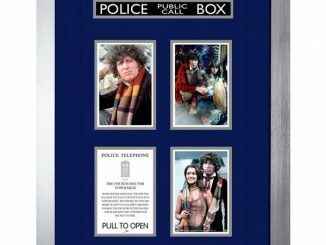 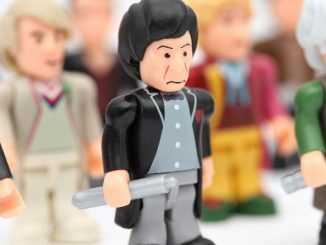 The 30″ x 11.5″ print features the iconic Doctor, all the way from his first incarnation (portrayed by William Hartnell) to the most recent Eleventh Doctor (played by Matt Smith). 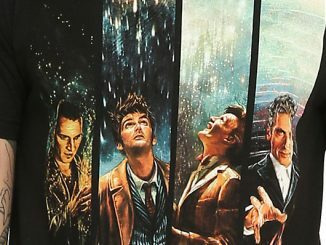 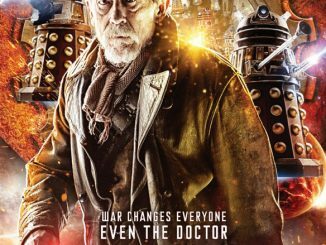 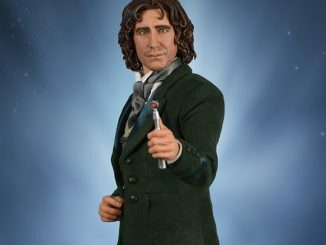 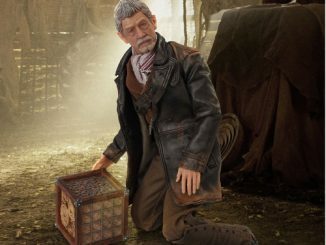 Although a little late to the game, this bit of art celebrates the Doctor’s 50th anniversary so Peter Capaldi isn’t included since he wasn’t introduced until after the anniversary episode, but the rarely-celebrated Eighth Doctor and War Doctor are in the line-up. 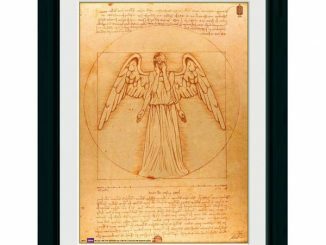 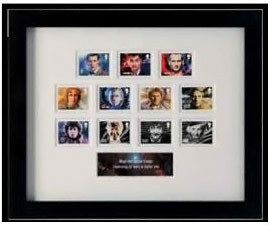 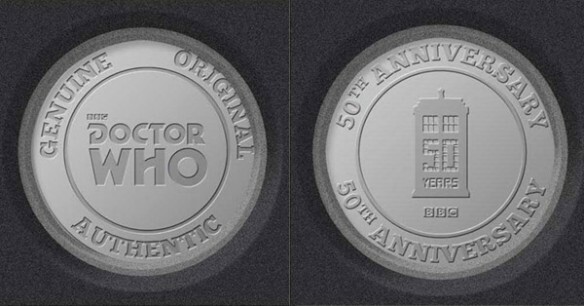 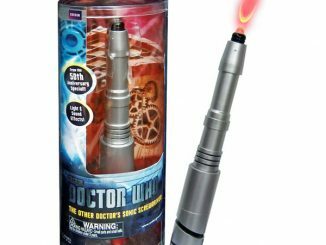 In addition to the Doctors, the print also includes two Doctor Who medallions, a list of the actors who portrayed the pictured Time Lords, and a certificate of authenticity. 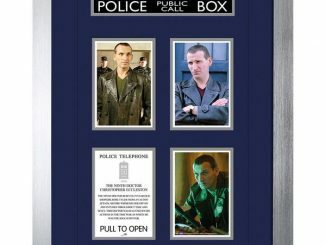 The limited edition Doctor Who 12 Doctors Deluxe Framed Print will be available May 24, 2014, but it can be pre-ordered now for £99.99 / $167.81 at ForbiddenPlanet.com.